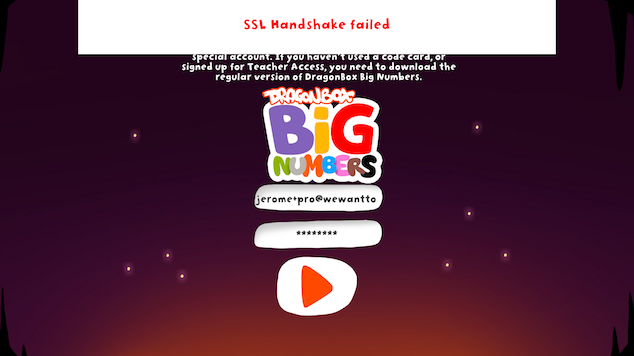 When trying to log in into your DragonBox account, you might see the following error: SSL handshake failed. 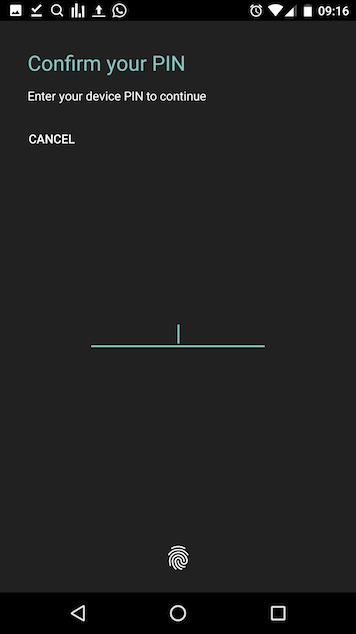 This is more often a problem on Android. This problem can be caused by various issues. 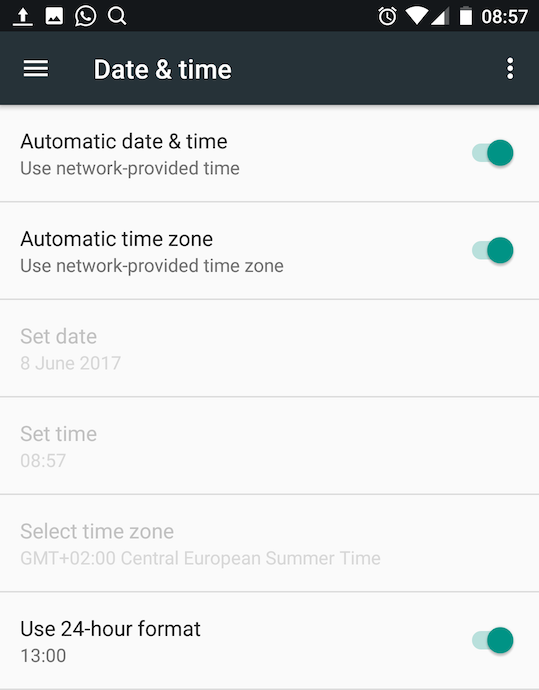 A simple cause could be that your device has an incorrect date & time configuration. Check its configuration before going further. Another common issue is: your device has an outdated list of SSL certificates causing the program and our authentication server to be unable to talk to each other. You probably know that for secure connections the web uses https connections. 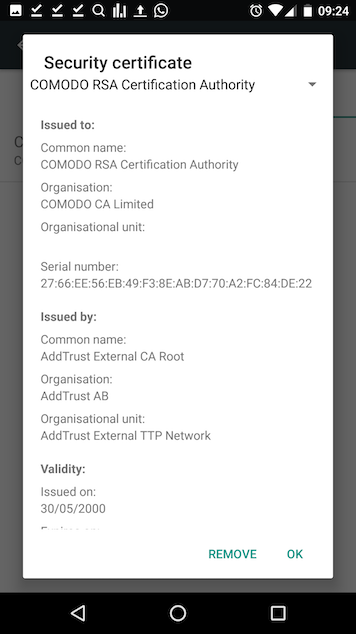 These connections use a technology called SSL. This technology allows 2 programs to exchange data securely over the Internet without anyone in the middle reading it. It is especially used when transmitting credentials (login/passwords) like in our current case. For the data exchange to work, it starts with a handshake where the server (the program sending the data) starts by showing its identity and the receiving one checks the server's identity. For this to work, the identity was signed (using some kind of stamp, which we call certificates) beforehand by a higher authority, known to everyone. Now these certificates get updated once in a while. Sometimes a computer has an outdated list of certificates. This causes it to be unable to validate the identity of the program sending the data as it doesn't recognize the certificate. It fails the SSL handshake and thus fails to initiate the data exchange. 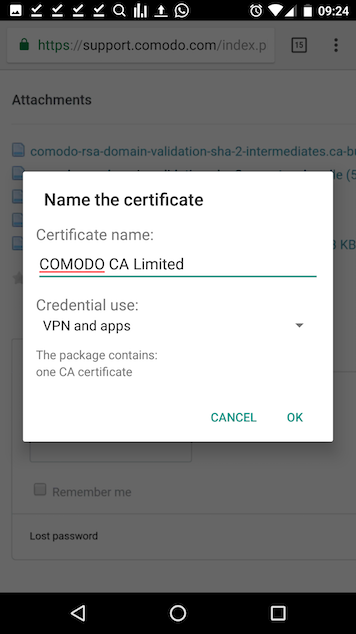 Assuming you have an Android, we can validate this assumption by checking whether or not the system contains the proper certificates. In your system Settings, under section Security / Trusted Credentials there should be 2 lists of trusted certificates, a System one and a User one. 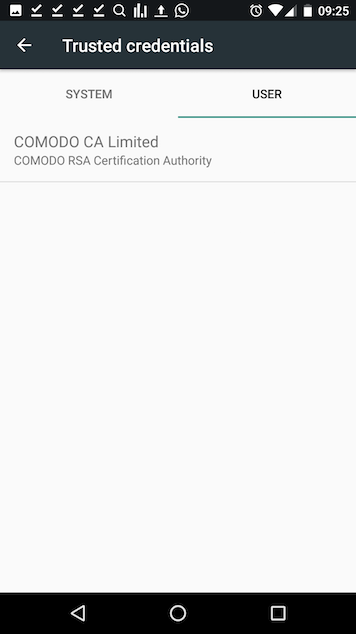 Under the System list you should find several Comodo or COMODO certificates, in particular one that has the full name COMO RSA Certification Authority. Now you should be able to communicate securely with our servers. In this case, you will have to install it by hand. Go to Settings / Security and select install from storage (or install from USB, USB Storage, or SD Card). 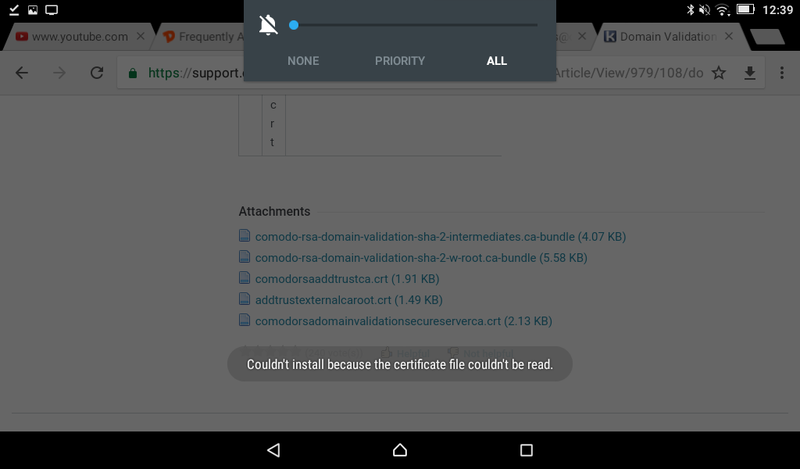 Then locate the certificate you just downloaded, and install it. Bug / Android / Installation failed: "Failed to install on phone or external SD card"
Bug / The game or the phone is unresponsive. How do I fix it ?